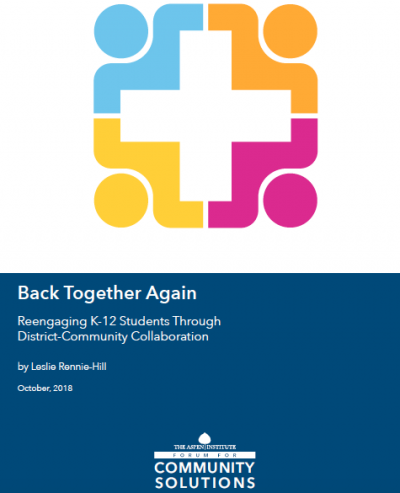 In our new report, Back Together Again, we look at four exemplar communities to understand how they’ve structured their K-12 reengagement programs, with a particular focus on how school districts in those places collaborate with community partners. The report details a spectrum of lessons learned, ranging from how to set up strong partnerships and programs, to the key elements of strong programs and services for reengaged youth, to supportive policy work. Millions of older youth and young adults in the US did not finish high school, and are now neither in the education system or working.